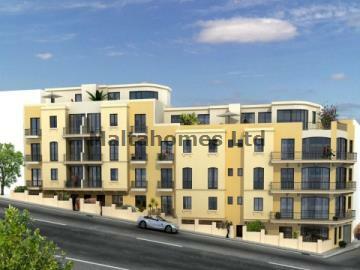 A corner block comprising of APARTMENTS AND PENTHOUSES in the capital city of Gozo, Victoria. The 3 bedroom Apartments spread on 4 floors with overlying 2 Penthouses enjoy a long road frontage which allows for the maximum use of its footprint, thereby enhancing the living space and orientation. The complex will be served by 23 underground garages and car spaces complete with all the modern security and access devices, including close-circuit cameras, security fire-doors, fire alarms, automated ventilation systems, lifts etc.